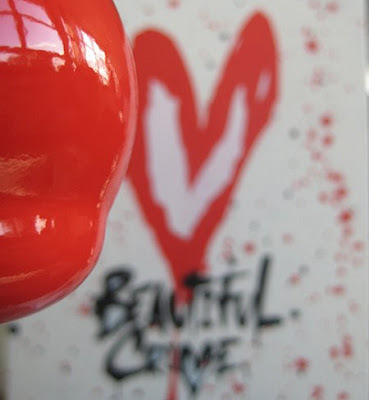 On the 14th February as the youth exchange saliva and knicker elastic, the guys over at Beautiful Crime will be dropping 142 canvasses on the streets of London for romantics of a criminal disposition. A collaboration between Beautiful Crime and the artists Fark FK, Finbarr and Bon Bon, the inaugural Valentine's Day MassARTcre will put of a smile of the face of every loved-up street purist, turning our ad polluted metropolis into an arty sprayed heart from a bunch of street art tarts. Full details will be revealed on the day so be sure and check the Beautiful Crime website. You can also follow their recently set- up Twitter account which will allow you follow the action on Saturday, as it happens in real time.